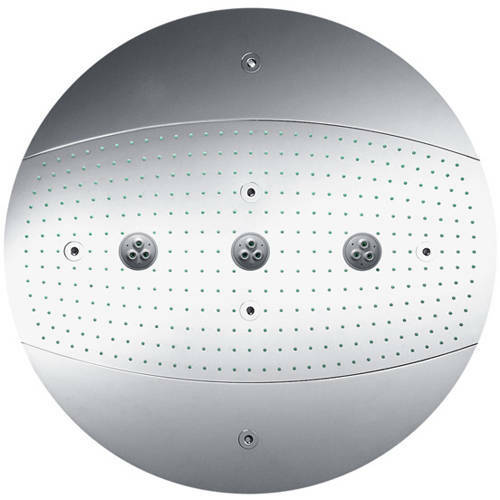 Hansgrohe > Raindance Rainmaker 3 Jet Shower Head (600mm, Chrome). 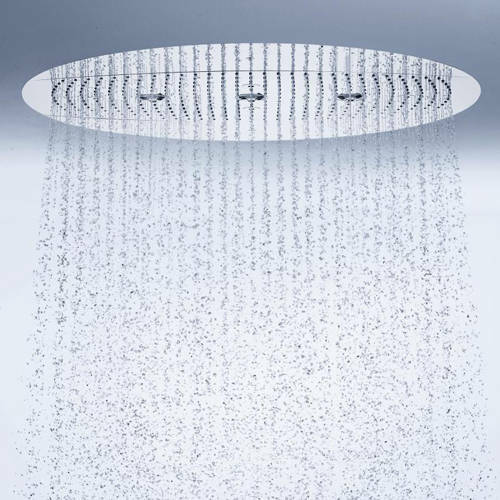 Hansgrohe Raindance Rainmaker 600mm round shower head in chrome with 3 jets. 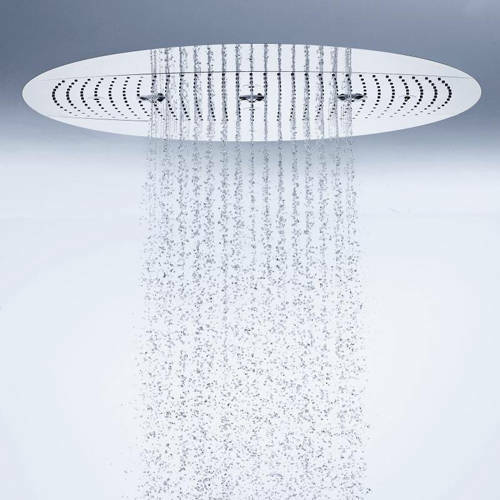 Raindance Rainmaker round shower head (3 jets). Spray pattern: RainAir (rain jet enriched with air), WhirlAir (massage spray), RainAir XL. Operating pressure: 3 bar to 10 bar maximum. 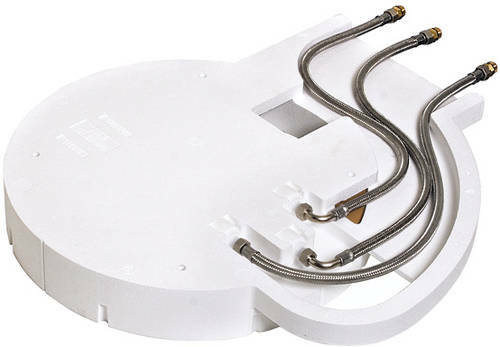 Suitable for concealed triple shower valves with 3 outlets (sold separately). The 3 spray zones must be controlled via 3 valves or a diverter valve with 3 outlets (requires a highflow thermostatic valve). Flush with the ceiling on basic body. Flow rate: RainAir 20 l/min at 3 bar. Flow rate: RainAir XXL 24 l/min at 3 bar. Flow rate: WhirlAir 22 l/min at 3 bar. 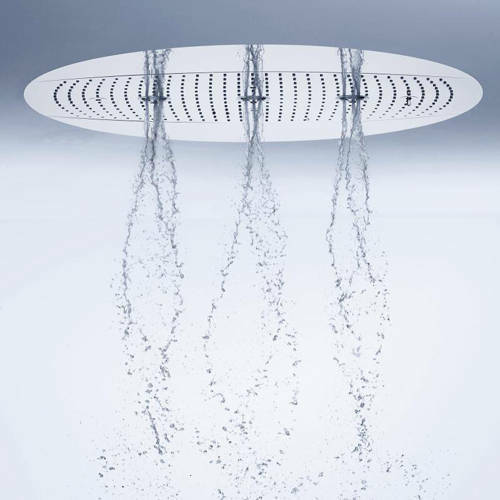 Easy installation: iBasic set for round Raindance Rainmaker included. 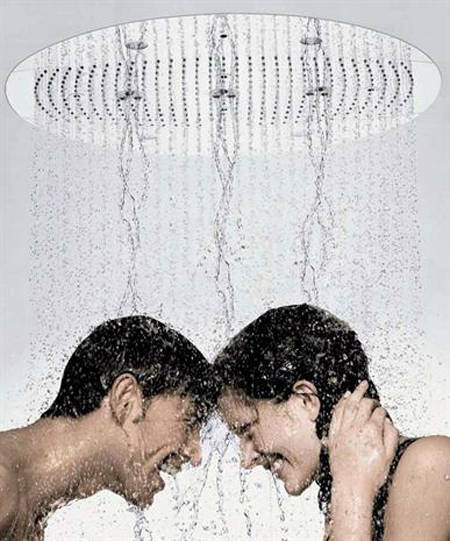 NOTE: overhead shower without lighting. Design: winner of the iF product design award 2005.